“It’s all about the timing,” says Bob Conboy, President of palamides USA Inc., of the opportunity he’ll have to showcase important additions to the company’s product line as an exhibitor at PRINTING United (Dallas, Texas, October 23-25, 2019). palamides designs and builds automated delivery systems that process the output from postpress equipment such as folders, saddle stitchers, and mailers as well as from offline roll-to-sheeters. With a labor-saving palamides delivery, either flat sheets, folded printed sheets, glued mailers or folded signatures for a variety of applications can be rapidly stacked, banded or non-banded, buffered and made ready for final packing and shipping. 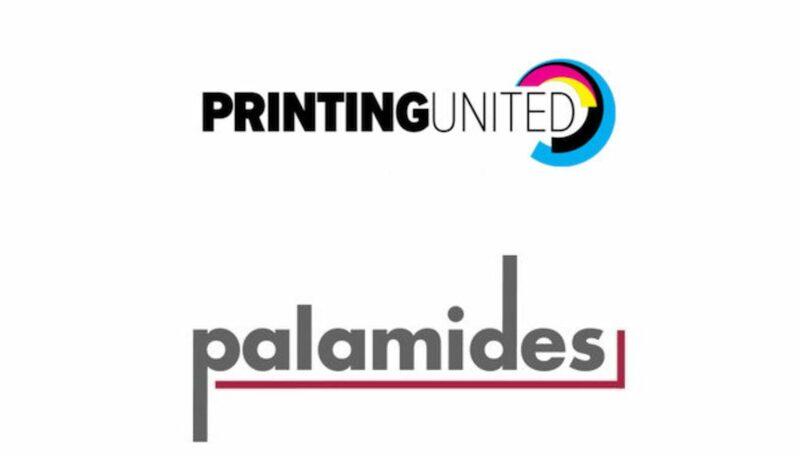 PRINTING United, an all-new trade exposition, coincides with the market launch of palamides products that will bring the benefits of automated delivery to small and mid-sized printers as well as high-volume users. palamides USA will provide information about its latest model delivery, gamma 502, a compact, 2-up delivery that counts, stacks, and optionally bands booklets, flyers, and other folded items with minimal operator involvement. Mobile for easy repositioning from machine to machine, the gamma 502 provides “a lower cost and a very easy ROI” for small-format, digital print environments, according to Conboy. He also advises keeping an eye out for other palamides deliveries in the booths of partners MBO and Heidelberg. Conboy sees PRINTING United as the right venue for showing printing businesses of all types how palamides delivery technologies can help them graduate from handling “a box here, and a wrap there” into automated and efficient finishing routines. He says that the most successful companies keep this in mind as they expand their capabilities and add new products and services to offer to their customers under one roof. PRINTING United calls the trend “convergence” and has adopted it as the keynote of the event. A joint venture of the Specialty Graphic Imaging Association (SGIA) and NAPCO Media, PRINTING United offers a new perspective on profiting in segments from garment to graphic, packaging to commercial, and industrial to in-plant. BRAND United, a co-located educational program, complements the experience with content aimed at brand owners and other customer audiences. Established in 2005 in Effingham, Ill., palamides USA Inc. is the U.S. sales and service organization of palamides GmbH, a leading developer of automated delivery solutions as well as stackers and a short-run perfect binding solution. palamides deliveries have become indispensable around the world behind saddle stitchers, folders, mailing systems, digital printing machines, and other types of production equipment. PRINTING United, a new event owned and operated by SGIA in partnership with NAPCO Media, will launch in Dallas, October 23-25, 2019. Focusing on the opportunities presented by the convergence of printing technologies and markets, PRINTING United will cover print and finishing technologies in industry segments from garment to graphic, packaging to commercial, and industrial. Its objective is to convey all components of integrated solutions to satisfy virtually any client need. Why Take a Chance on Inkjet?